For those that remember, I posted a story about Afghan sisters who were sprayed in the face with acid by the Taliban for attending school, and I added some commentary on the importance and relevance of this issue. Well, I'm pleased to report that those little girls are back at school now, Taliban be damned. KANDAHAR, Afghanistan: One morning two months ago, Shamsia Husseini and her sister were walking through the muddy streets to the local girls' school when a man pulled alongside on a motorcycle and posed what seemed like an ordinary question. "Are you going to school?" Then the man pulled Shamsia's burqa from her head and sprayed her face with burning acid. Scars, jagged and discolored, are now spread across Shamsia's eyelids and most of her left cheek. These days, her vision goes blurry, making it hard to read. 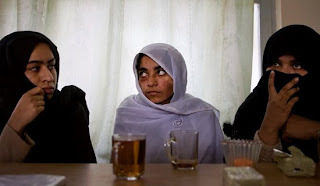 But if the acid attacks against Shamsia and 14 other students and teachers, which carried the tell-tale marks of the Taliban, were meant to terrorize the girls into staying home, they appear to have failed completely. Today, nearly all of the wounded girls are back at the Mirwais School for Girls, including Shamsia, whose face was so badly burnt that she had to be sent abroad for treatment. Perhaps even more remarkable, nearly every other female student in this deeply conservative community has returned as well - about 1,300 in all. "My parents told me to keep coming to school even if I am killed," Shamsia, 17, said in a moment after class. Shamsia's mother, like nearly all of the adult women in the area, is unable to read or write. "The people who did this to me don't want women to be educated. They want us to be stupid things." In the five years since the Mirwais School for Girls was built here by the Japanese government, it appears to have sparked something of a social revolution. Even as the Taliban tighten their noose around Kandahar, the girls flock to the school each morning. Many of them walk more than three kilometers, or two miles, from their mud-brick houses up in the hills. The girls burst through the school's walled compound, many of them flinging off head-to-toe garments, bounding, cheering and laughing in ways that are inconceivable outside - for females of any age. In Mirwais's muddy byways, there is no regular electricity, no running water, no paved streets. Women are rarely seen, and only then while clad in burqas that make their bodies shapeless and their faces invisible. And so it was especially chilling last Nov. 12, when three pairs of men on motorcycles began circling the school. One of the teams used a spray bottle, another a squirt gun, another a jar. They hit 11 girls and 4 teachers; 6 went to the hospital. Shamsia got it worst. The attacks appeared to be the work of the Taliban, the fundamentalist movement that is battling the government and the U.S.-led coalition. Banning girls from school was one of the most notorious symbols of the Taliban's rule before they were removed from power by the U.S. invasion in November 2001. Building new schools and ensuring that children - especially girls - attend has been one of the main objectives of the government and the countries that have contributed to Afghanistan's reconstruction. Some of the students at the Mirwais school are in their late teens and early 20s and are going to school for the first time. At the same time, in the guerilla war that has unfolded across southern and eastern Afghanistan, the Taliban have made schools one of their special targets, burning hundreds for boys and girls alike. But exactly who was behind the acid attacks is a mystery. The Taliban denied any part in it. The police arrested eight men, and shortly thereafter the Interior Ministry made public a video showing two men confessing. One of them said he had been paid by an officer with the ISI, the Pakistani intelligence service, to carry out the attack. But at a news conference last week, Hamid Karzai, the Afghan president, said there was no Pakistani involvement. One thing is certain: In the months before the attacks, the Taliban had moved into the Mirwais area and to the rest of Kandahar's outskirts. As they did, posters began appearing in local mosques. "Don't let your daughters go to school," one said. After four days of staring at empty classrooms, Qadari called a meeting of the parents. Hundreds came to the school - fathers and mothers - and Qadari implored them to let their daughters return. After two weeks, a few did. 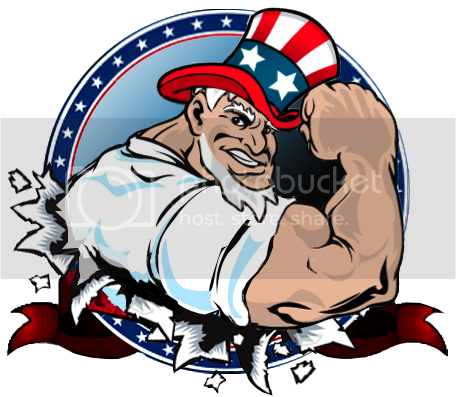 So Qadari, whose three daughters live abroad, including one in Virginia, enlisted the support of the local government. The governor promised more police, a foot bridge across a busy nearby road and, most important, a bus. Qadari called another meeting and told the parents there was no longer any reason to hold their daughters back. "I told them, 'If you don't send your daughters to school, then the enemy wins,"' Qadari said. "I told them not to give into darkness. Education is the way to improve our society." The adults of Mirwais did not need much persuading. Neither the bus nor the police nor the bridge has materialized, but the girls started showing up anyway. Only a couple dozen girls regularly miss school now. Three of them were girls who were hurt in the attack. "I don't want the girls sitting around and wasting their lives," said Ghulam Sekhi, the uncle of Shamsia and her sister, Atifa, age 14, who also was burned. For all the uncertainty outside its walls, the Mirwais school brims with life. Its forty classrooms are so full that classes are held in the courtyard in four tents donated by Unicef. The Ministry of Education is constructing a permanent building as well. The past several days at the school have been given over to examinations. In one classroom, a geography teacher posed a series of question while her students listened and wrote their answers on paper. At a desk in the front row, Shamsia pondered the questions while cupping a hand over her largest scar. She squinted down at the paper, rubbed her eyes, wrote something down. Doctors have told her that only plastic surgery offers a chance to eradicate her scars. That is a distant dream. Her village does not even have regular electricity; her father is disabled. After class, Shamsia blended in with the other girls, standing around and laughing and joking. She seemed unselfconscious of her disfigurement, until she began to recount her ordeal. "The people who did this," she said, "do not feel the pain of others."